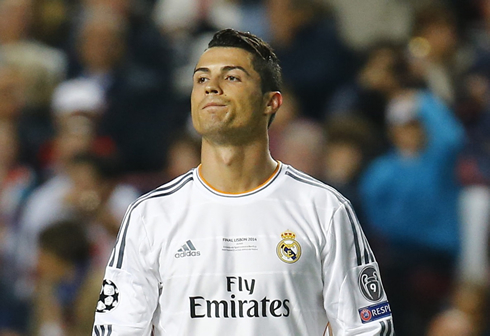 ﻿ Real Madrid 4-1 Atletico Madrid. La Décima becomes a reality! 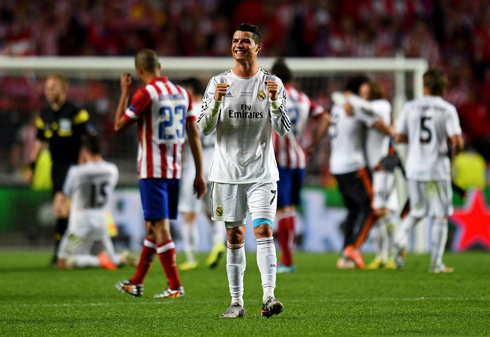 24.05.2014 » Real Madrid 4-1 Atletico Madrid. La Décima becomes a reality! 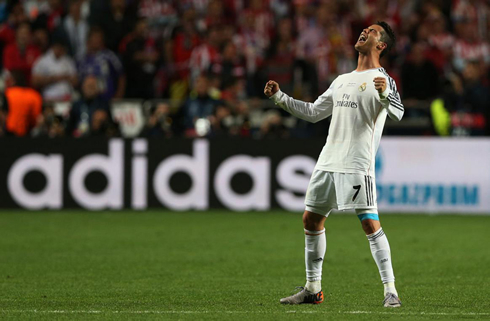 What a night of football and emotions we've had in Lisbon! Real Madrid had to wait 12 long years for living a moment of this magnitude, but it finally arrived this Saturday after a very tough game against their city rivals Atletico Madrid. The Merengues pulled off a very tasty 4-1 victory in extra time, but they only reached the crucial equalizer during the second half added time. 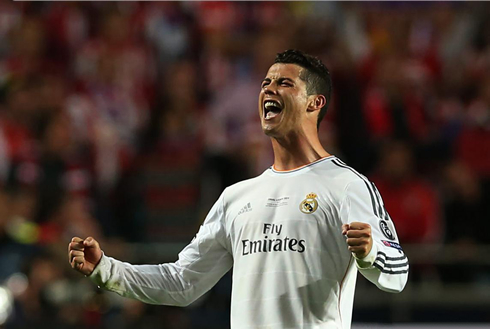 Real Madrid have reached the promised land after going through a truly magical night in Lisbon and in which they've beaten Atletico Madrid by 4-1 in this season's Champions League final. 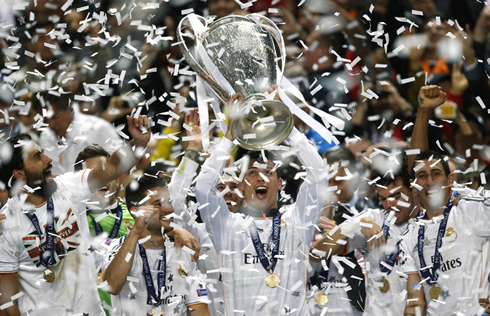 The Merengues finally got their hands into their 10th UEFA Champions League trophy (La Décima), a title they had been chasing for quite a long time already (their last European conquer already dated back to 2002). However, they had to sweat a lot in order to accomplish it, as Atletico picked up the first lead following a goal by Godín deep in the first half and somehow managed to resist until what was almost the very last breath of the game. Real Madrid's resilience ended up being rewarded during the second half stoppage time and it would be Sergio Ramos the man responsible for scoring the equalizer and sending the game into extra time. 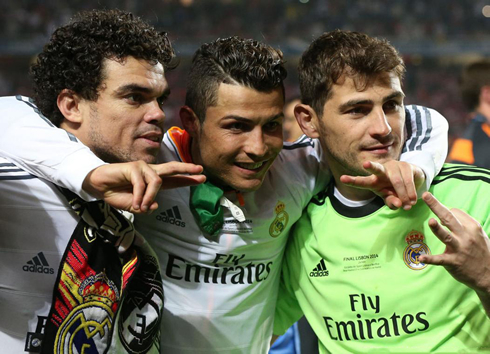 With a clear psychological edge after the regular time was over, Carlo Ancelotti's men imposed their law in the following 30 minutes and sealed the deal with goals from Gareth Bale, Marcelo and Cristiano Ronaldo. The Champions League trophy finally returns home! 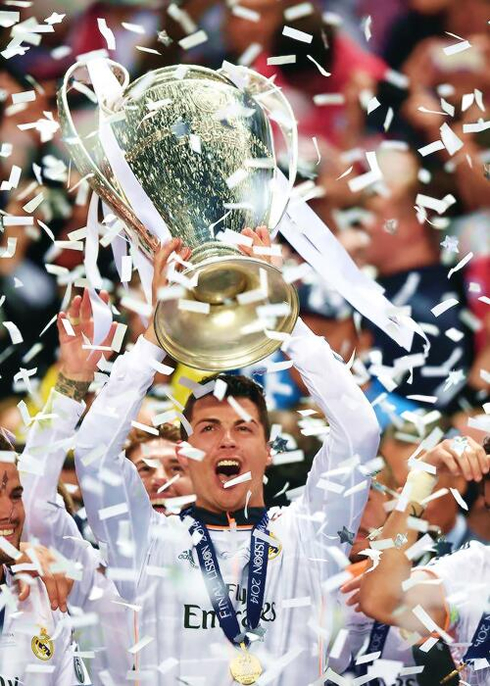 It was the night every Real Madrid fan could have wished for. 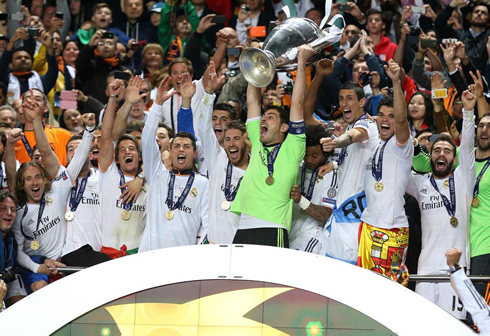 In a game packed with drama, intensity and uncertainty until the last moment of regular time, Real Madrid clinched their 10th European title in an emphatic way in extra time. After several years where fate didn't seem to want anything to do with the Merengues, it's only fair to say that, this time, fortune didn't turn its back on them. To culminate a long and exhausting season with a Champions League trophy, against their long-time rivals and recently crowned Spanish champions Atletico Madrid, is nothing less than historical and remarkable. Even though it might be hard to believe, the truth is that the wave of injuries that happened over the last few weeks threatned clouding the excitement of a great show like the one a Champions League final is supposed to produce. Several key players from both sides were struggling with different degrees of injuries but at the end, almost everyone seems to have made a final effort in order to recover in time for this "Grand Finale". 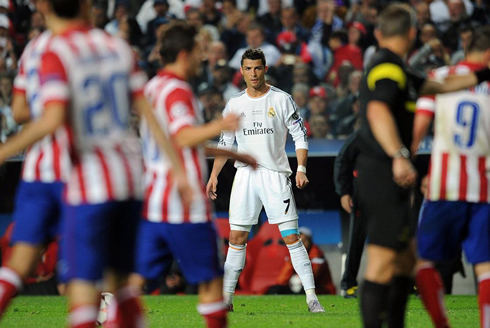 By looking at the line-ups, only Pepe in Real Madrid ended up not making the cut to the line-up, while in Atletico the most notorious absence was Arda Turán, who failed to overcome his injury ahead of this final game. If there's one team this season who deserves to be praised for their incredible work rate, group solidarity and defensive discipline, that team has to be Atletico Madrid. Diego Simeone's men have never shown any problems in getting their jerseys dirty from working and sacrificing themselves on the pitch and that's precisely what Real Madrid knew they would face ahead, following that first goal landed by Atletico. 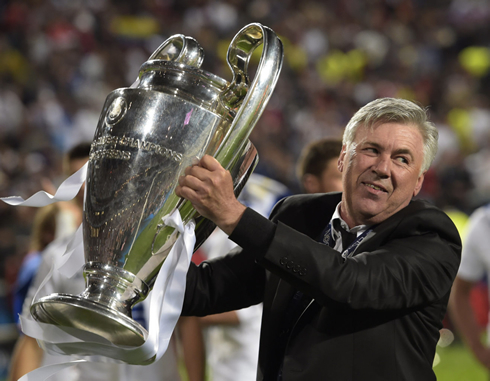 As time passed by, the Spanish champions started defending as tight as they could and with the 0-1 result persisting near the first quarter of an hour of the second half, Ancelotti decided to make a couple changes that would end up producing a very positive impact in his team. In the 59th minute of the game, Marcelo was brought in to replace Fábio Coentrão as left-back and Isco came in for a still very rusty Sami Khedira. Soon Real Madrid started showing a better dynamic and movement in the attack and Atletico kept pulling back their lines to defend their lead at all costs. However and despite the improvements in Real Madrid's attacking game, the miraculous goal didn't arrive anytime soon and when the referee ordered for the game to be played for another 5 minutes of added time, the desperation mode had already been turned on. We were only a couple minutes or even seconds away from seeing this football club season coming to an end, when Real Madrid pulled off what many fans already didn't believe it could be possible. Luka Modric got in charge of taking a corner-kick in the right attacking side and sent in a perfect weighed cross straight into the heart of Atletico Madrid's box. 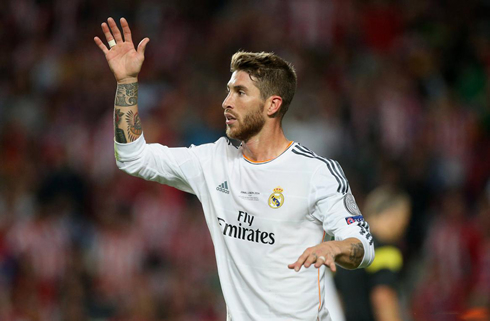 Someone needed to step up and deliver a goal that would still allow Real Madrid to keep believing in La Décima's dream and that's precisely what Sergio Ramos did... The Spain international rose over everyone near him and with a brilliant and accurate header he beat Courtois and dramatically tied the game at 1-1, in the 93rd minute of the Champions League final. That late Real Madrid goal basically crushed most of Atletico Madrid's remaining strengths and allowed Carlo Ancelotti's men to gain the momentum for what we still had left to be played in the 30 minutes of extra time that were about to come on. The 2-1 ended up happening naturally and it came off from a brilliant solo run produced by Angel Di María. 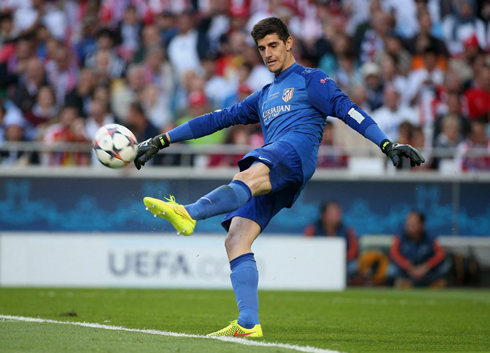 The Argentina international showed off his incredible stamina and through an incredible run in the left wing where he left behind two Atletico Madrid defenders, he got to test Courtois goalkeeper skills with a left shoot from a tight angle. 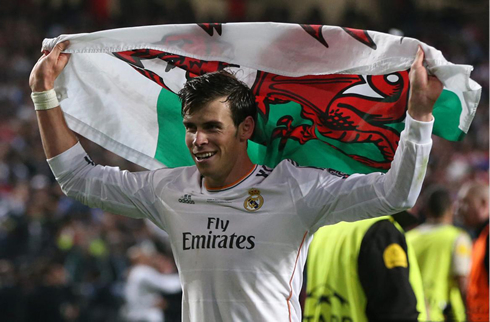 The Belgium international blocked the attempt with his left foot, but the ball fell over to Gareth Bale in the far post, who still managed to head it towards an empty net and make it 2-1 for Real Madrid. Atletico Madrid's hopes had been devastated and many players were already completely exhausted after Bale's leading goal. Real Madrid would reach the 3-1 in the 13th minute of the second half of extra time, this time following a nice attacking initiative from Marcelo, who finished it off with a strong left strike when he was already about to step in into Atletico's box. There would still be time for a last goal a couple minutes later and it had to be Cristiano Ronaldo also adding his name to the scoresheet. The Portugal international converted a penalty-kick that he himself had earned moments before and he got to set the final score in a somehow deceptive 4-1 result. With this win, Real Madrid finished their season in the best possible manner, as they've achieved a trophy that has been their main objective in many of the past years. 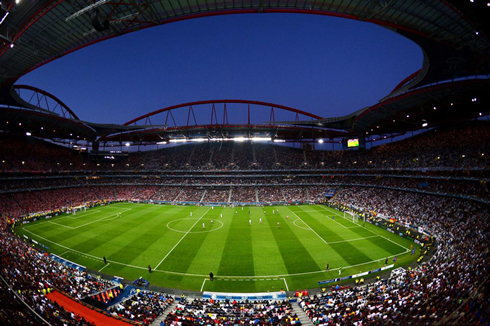 The club will now turn on their vacation mode, with most of the players shifting their focus to the upcoming 2014 FIFA World Cup that will be hosted in Brazil during next June and July. 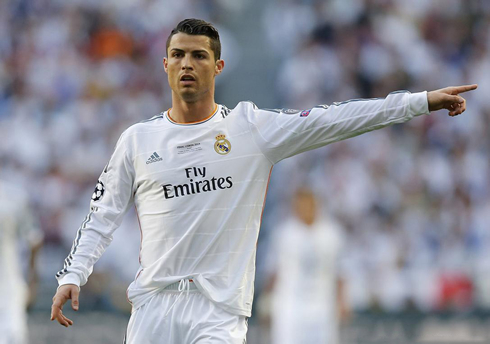 Cristiano Ronaldo crossed the season's finish line (club-wise) with 47 appearances and 51 goals, with 17 of those scored in the UEFA Champions League, allowing him to establish a new all-time record in the competition. It simply couldn't have gotten better than this! Cristiano Ronaldo next game will be a friendly for Portugal and against Greece on May 31 of 2014. You can watch Juventus live stream, Portugal vs Greece, Spain vs Bolivia, England vs Peru, and Miami Heat vs Indiana Pacers, all matches provided from our sports streaming pages.